Ergonomists have suggested that everyone work within a so-called “comfort zone”. 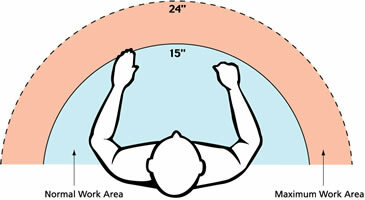 This is a semi-circle that your arms make as you reach out. Things that you use on a regular basis should ideally be within easy reach with your full arm. Things that you use frequently and repetitively should be within easy reach of your forearms. Much of the time, problems with reach are simply matters of rearranging your work area and moving things closer to you. Often it is a matter of habit — you are unaware that you continually reach for something that could be easily moved closer. Or sometimes, the work surface is just too big, causing you to reach across to get something. One option is just to get a smaller surface. Another option is to make a cutout in the worksurface to allow the body to be closer to the work— this way your reaches are cut, but you still have plenty of surrounding space for items. The parameters of the “comfort zone” are well defined dimensions that take into consideration body size, range of movement, muscle strength, clearances and reach/vision envelopes (see illustration below). In laboratory environments, many workstations have pipettes stored at the back of the bench. As a result, the user is frequently reaching to the back of the bench to change pipettes, causing over extension by the arm. An alternative to this practice is to continuously hold the pipette even while performing other functions. However, this constant holding of the pipette increases contact stress and prevents the muscles from relaxing, thereby creating increased tension, stress and muscle fatigue. It has also been observed that in some cases the pipette is placed on the bench between uses, which could cause contamination to it, the work environment or the user. 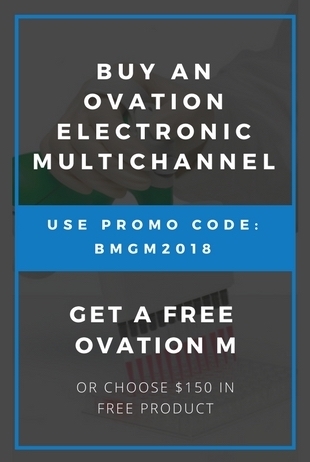 Pipette users are encouraged to move their entire rack of pipettes within the parameters of the comfort zone to avoid excessive reaching and arm extension. Pipettes should be returned to the rack when other sample preparation tasks are being performed to allow hand and arm muscles to recover. As much as possible, workflow should be organized to allow alternating use of the pipette and other sample preparation steps. 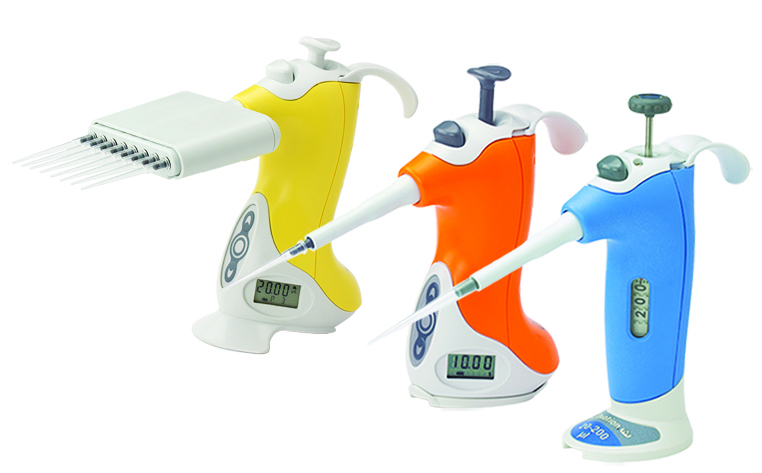 The Ovation BioNatural Pipette was specifically designed to compliment work within the “comfort zone”. 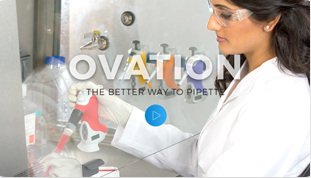 Ovation is the only pipette that stands securely on the counter before, during and after pipetting tasks. The tip never touches the bench, so there’s no risk of contamination. Ovation’s non-axial design allows work to be performed close to the work surface without raising the arm, hand or wrist. Ovation’s adjustable hook provides custom comfort and reduced holding effort – allowing muscles to be relaxed during use.